The Encounters are back in Magic 2013 and that means single-minded AIs following patterns until you win or lose. These patterns will be the same every time, but keep in mind that they will still block and attack logically regardless of the pattern. Since this is a card game and you still have to draw cards normally in Encounters, it’s important to remember that sometimes you can’t win without the right cards. That’s perfectly fine, these may take a couple tries no matter how sound the strategy is. The first three are pretty simple Encounters so their solutions are pretty straightforward, but as you progress you’ll find these Encounters get more and more difficult (and more and more unfair), so we hope you’ll find this guide useful. Magic the Gathering: Duels of the Planeswalkers 2013 was developed by Stainless Games and Wizards of the Coast and published by Microsoft Studios. It retails for 800 MSP and was released on June 20, 2012. A copy was provided for review purposes. Stainless Games and Wizards of the Coast have brought us our third iteration of the ridiculously named “Magic: the Gathering Duels of the Planeswalkers 201X” series. That means new cards, more missions, new modes, a redesigned interface, and yet the game’s name is still far too long. 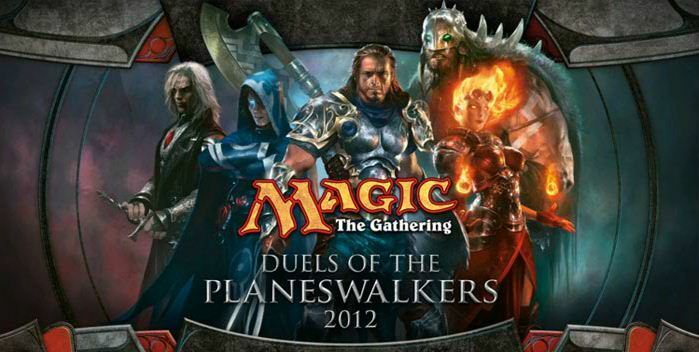 As such, while discussing the aforementioned inclusions, we will be referring to Magic: the Gathering Duels of the Planeswalkers 2013 as Magic 2013 for the remainder of this review. 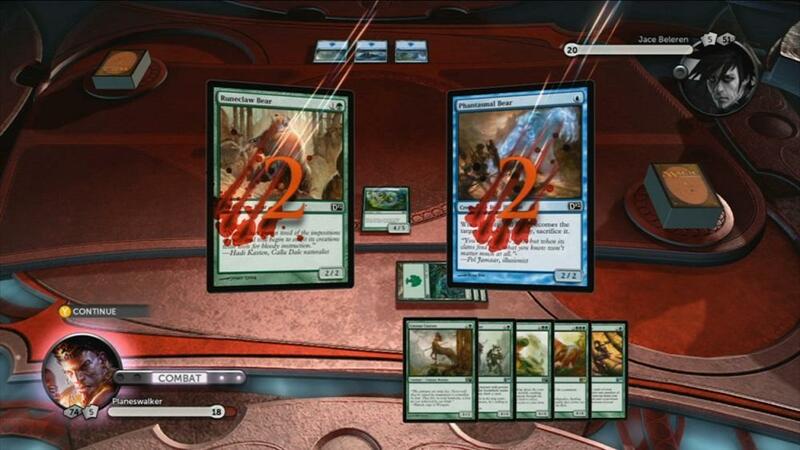 For the uninitiated, Magic 2013 pits you against several AI duelists throughout its multiple campaigns. Use cards to generate resources which you spend to summon creatures and cast spells. Learn about the different decks throughout the campaign and unlock them for your own use. Red, white, blue, black and green cards populate each deck and all have different signatures; for instance, green features powerful creatures, where-as black specializes in manipulating the dead. Handy tips and a thorough tutorial do a comprehensive job of teaching newcomers to the franchise, so don’t be afraid to jump right in. As an up-front for interested veterans, no you still cannot freely create decks or mix and match cards, unfortunately, however Magic 2013 has the most cards in the series to date. If you want the card game in video game form, this is it, but if you want all of the Magic: the Gathering culture, you’d best go down to your local game store and participate there. Since this is the third iteration and many of you are simply curious about what’s new here, Magic 2013’s cards are all from the upcoming Magic 2013 core set. On top of that there are four campaigns including two different sorts of puzzles and the all new game mode Planechase. 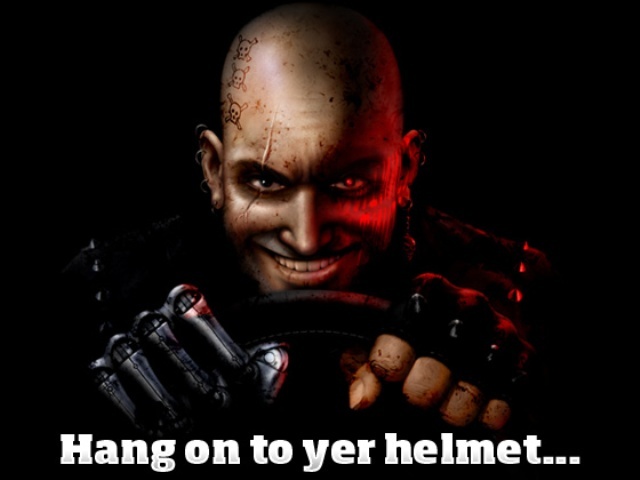 Nearly one year ago Stainless Games announced that it was reviving the vehicular-combat Carmageddon franchise it created back in the late 1990s with the Square Enix-published Carmageddon: Reincarnation. Then nothing happened for a while. Well, not publicly it didn’t, at least. In reality, a lot was happening behind the scenes at the Isle of Wight-based developer. After dropping “well over a third of a million dollars getting the rights back,” Stainless began prototype and design work on the revival. The hundreds of thousands the dev spent on the investment reportedly “rerepresents all of [its] profits from our other work,” but the team thinks it’s “worth it.” Yet it wasn’t enough. It wasn’t nearly enough, actually. And so the studio has announced its intentions to have the public fund the remaining $400,000 USD or more through Kickstarter. As of this writing, over $135,000 USD has already been funneled into Stainless’ coffers by nearly 4,000 individuals who want to see the Reincarnation completed and released. “We want to spend the money doing what we do best: making video games,” says Stainless Executive Director Neil Barnden in a new promotional video that could pass as a low-budget version of a late ’90s video-game commercial. Analyst firm Forecasting and Analyzing Digital Entertainment (FADE) has released a new report that shows XBLA revenue increased 18 percent last year to $144 million. From Dust, created by Eric Chahi (Another World) and developed by Ubisoft Montpellier, and The Behemoth’s popular game Castle Crashers earned the most money with $4.6 million each in revenue off 308,000 and 335,000 units sold respectively. Microsoft Games Studio’s Full House Poker moved the most units with 375,000 units sold but was fourth overall in revenue with $3.6 million. 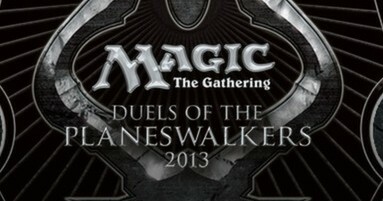 Duels of the Planeswalkers 2012: Is proof of first DLC hidden in the source code? According to a rumor that started over on the forums at MTG Salvation, the answer is yes. It is being said that in the source code they have found card names previously unknown. Now this is just rumor, but they believe it might just be cards that are waiting to be unlocked. They are leaning towards the idea of DLC, as they have managed to extract card names, details and art from these source codes. If they are correct, these new cards will cover all your basis, a little for each manna, as well as new and old decks. Now we all know that speculation is just that and will not be confirmed until the first DLC pack is released (or close to) and we get to see first hand what is in it. We have all the known art and card info for you right after the jump. The original Duels of the Planeswalkers was perhaps the best bad game one could play on XBLA. It launched with numerous bugs, many of which remain unfixed today. A small number of cards didn’t work as described in their text, it was inordinately difficult to arrange blocking if there were too many attackers, and certain design decisions crippled the strategic calculus normally found in a Magic game. And in many ways the first Duels game played like a giant teaser advertisement for the rest of the Magic universe, rather than as a game whole and complete unto itself. It was still hugely fun to play, because Magic is a fun game with great art and clever mechanics, but the game lacked a certain richness, that attention to detail and the player experience that marks a great game. Thank Wizards and Stainless, then, for making the bold decision to leave behind the old game, warts and all, and concentrate on creating the game that the first Duels could have been. 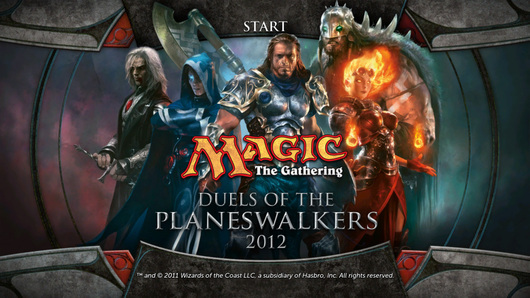 The new Duels of the Planeswalkers 2012 addresses many of the complaints about the first Duels, providing a smoother, faster game experience, a cleaner UI, vastly improved deck editing, a variety of online cooperative play formats, and a generally richer, better game experience. 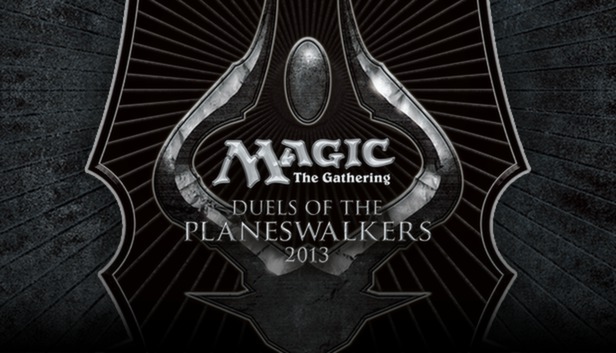 The next iteration of Duels of the Planeswalkers, dubbed Duels 2012, will see significant improvements over its 2009 predecessor. The most significant change was officially announced yesterday on the game’s community boards, thanks to a post from Community Manager WotC_Microbless, who confirmed that the new game would have the ability to remove cards from the core 60 card deck and replace them with cards unlocked as rewards for playing the game. As a result, players will be able to customize their decks in new and exciting ways.